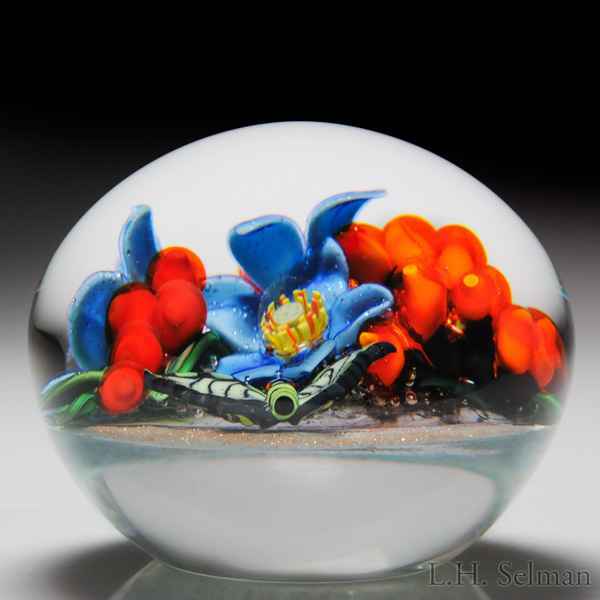 Colin Richardson 2016 “Golden Tropics” butterfly and bouquet paperweight. A green and black butterfly approaches a triplet of blue aventurine-dusted flowers, which grows amid a cluster of berries and variegated green leaves. Gold and white sandy ground. Edition #1 of 1. Signed/dated. Diameter 2 3/4".